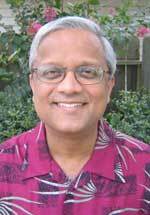 Satish Sharma, an educated and middle-class Mumbai native, immigrates to the United States for a better life. He settles amid the oil and gas industry in Houston, Texas only to be tagged as “an Indian in cowboy country.” Despite the hardships and challenges he faces, Sharma prevails and winds up as a highly successful professional. This, in short, is the protagonist of Houston-based Pradeep Anand’s debut novel “An Indian in Cowboy Country: Stories from an Immigrant’s Life” (published by iUniverse, $14.95). And the story is eerily similar to its author, who like Sharma, is a native of Mumbai and a graduate of Indian Institute of Technology (IIT), Mumbai, who settled in the middle of the oil industry in Texas to prosper and finally set up his own management company, Seeta Resources. 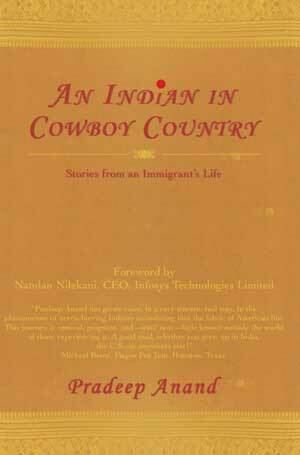 “An Indian in Cowboy Country” is based on an episodic structure with convenient stopping/resting points in the narrative. For instance, the first chapter “Rites of Passage” deals with the experience of the protagonist and his schoolmates to their first adults-only movie followed by Mumbai’s first ethnic riot. Then there’s “The Interview” in which Satish Sharma is interviewed for a promotion and rejected. Or “Going Home” in which he visits Mumbai after 10 years in America. We can bet that Pradeep Anand will go places one day with his talent for writing stories about Indian immigrants in a skilful and effective narrative style!